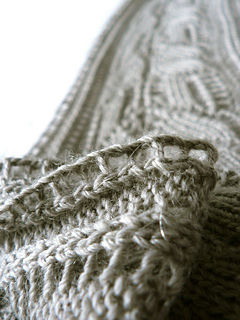 Hand-knitting version available here in pdf. 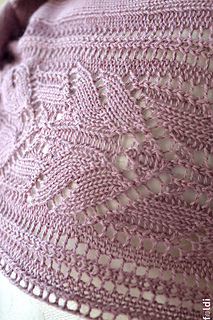 The Lady Moth Shawl pattern was designed for the first birthday of my blog. 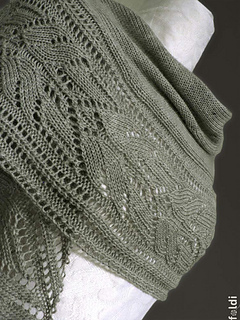 The name is came from the the fly-like motif of the lace edging. 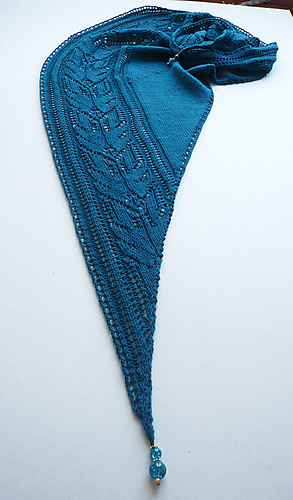 The shawl is knitted sideways as one piece along with the unique lace border. 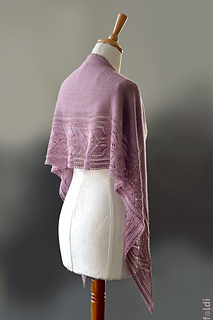 This is a long and narrow scarf – shawl – shoulderette, its strange elongated half-circle shape is formed with short rows. 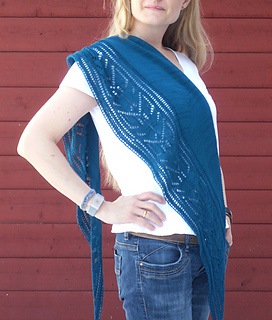 You can use it as a wrap - to warm your shoulder or like an ordinary scarf around your neck. 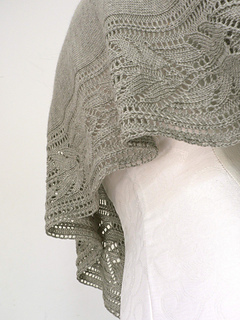 Ideal accessory for the cold evenings. 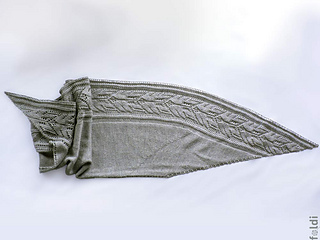 Single transfer tool, 5 stitches transfer tool. 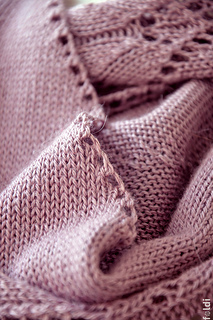 It is important to use weights especially with the short rows. I use twisted paper clips as hooks and locks as weights.